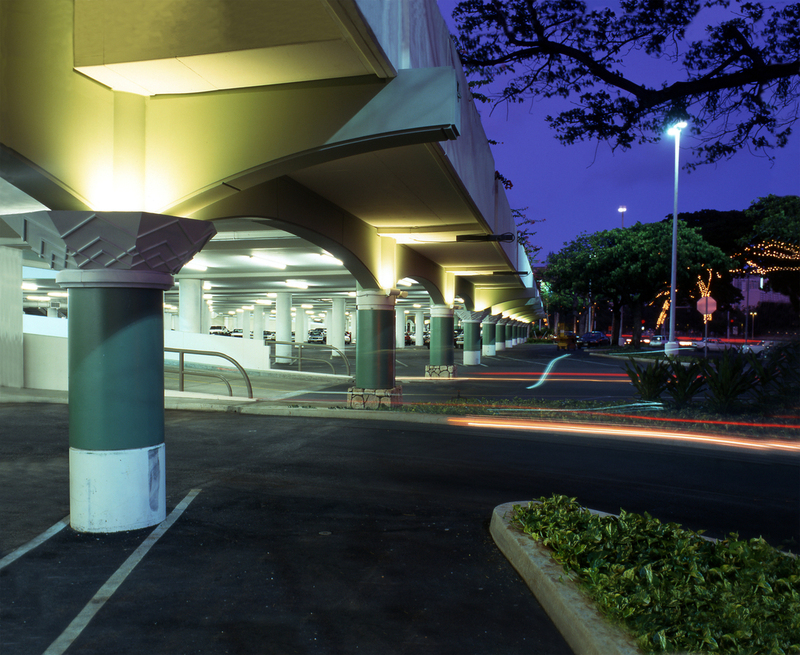 Ala Moana Shopping Center Parking Structure | Cary Kopczynski & Company, Inc. 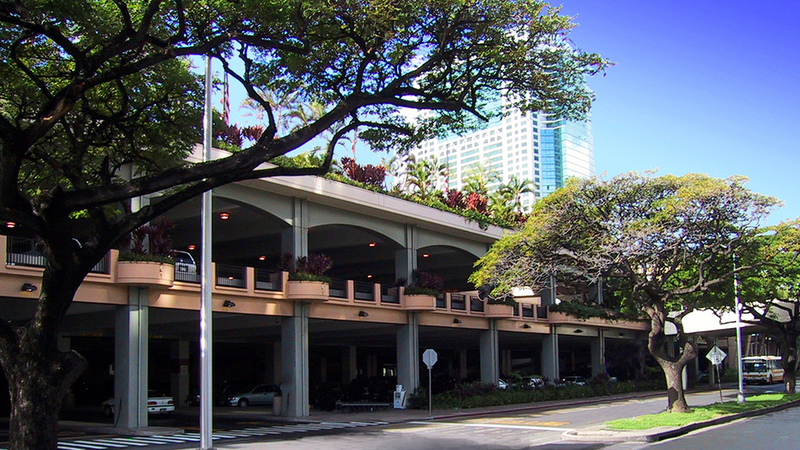 The Mauka Parking Structure utilizes long-span cast-in-place posttensioned concrete framing. Beams and girders provide all resistance to wind and seismic loads. A key design requirement was that the structure be designed to accept several future levels. It was desired by the owner that the upfront cost impact of this future construction be minimized. CKC accomplished this by carrying all lateral loads in the primary structure and eliminating the need for shear walls. The lack of shear walls also created foundation savings by eliminating grade beams.